Hometown Bicycles: Hometown Birthday Bash Roll & Rock Fundraising Concert with the PBR Band! Hometown Birthday Bash Roll & Rock Fundraising Concert with the PBR Band! We are super stoked to celebrate our 9th Birthday "after hours" Party with THE MAN, Dan Tribble, and his Progressive Blues and Rhythm Band on Saturday, April 27th! This fundraising concert for the Brighton High School Cycling Club will run from 5:30-8:30 PM. We're talking laid back, funky fun! The PBR Band will wow you with a brew of blues, rock and R&B. Bring your dancing shoes! $10 cover charge payable at door (cash or check only, please). Please let us know you’re coming, so we can plan for enough refreshments! BYOB and an extra chair or two! 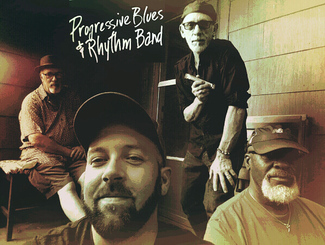 BAND BIO: The Progressive Blues and Rhythm Band is Brian "BK Big Fish" King, drums, Doug "Bird Dog" Percha, guitar, Theo "Dr. Thee" Smith, bass and Dan Tribble aka "Shoocat Hopkins" on vocals and harmonica. All have been active members of the SE Michigan music scene dating back to the mid-70's.